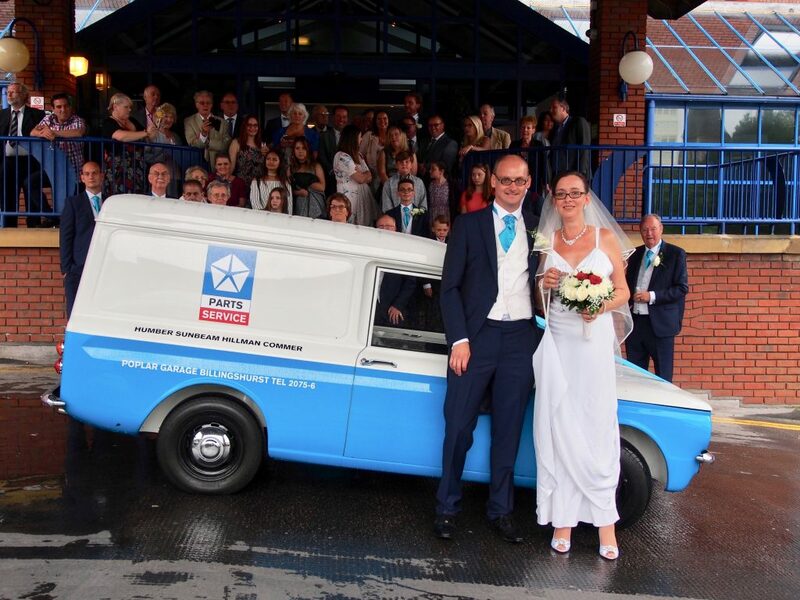 Britain has a celebrated automotive manufacturing heritage and one of the marques that most of us have an affinity to at some point in our lives is the Rootes Group. 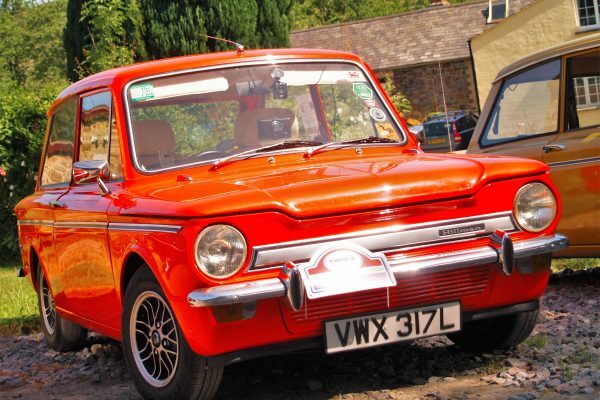 We have Rootes to thank for bringing us national treasures such as the Sunbeam, Humber and of course, the much loved, Hillman Imp. The Hillman Imp is a compact, rear-engined saloon car, that was manufactured under the Hillman marque by the Rootes Group (later Chrysler Europe) from 1963 to 1976. The Imp was to be the first post-Second World War small car by Rootes, rivalling the popular BMC Mini. 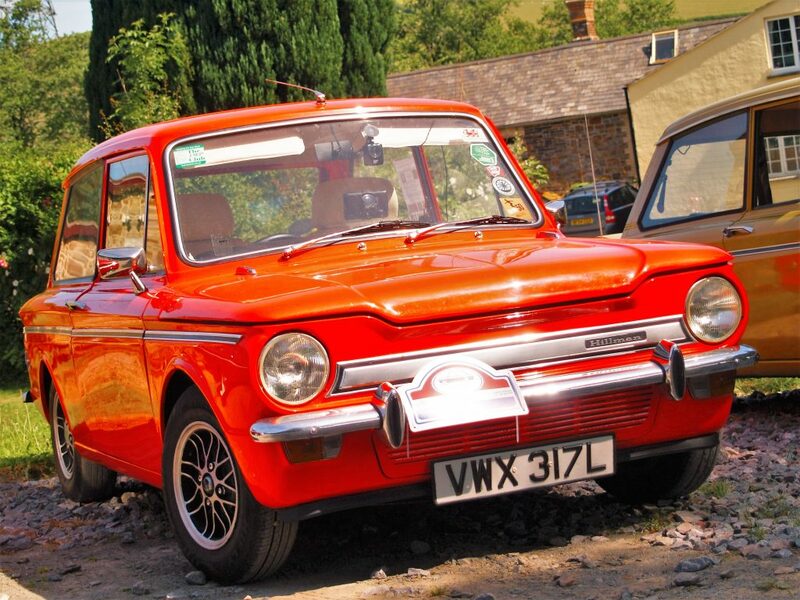 The Hillman Imp is seeing somewhat of a revival and is a popular choice of classic for both older enthusiasts and youngsters coming into the scene. Which is why it’s great that there is a national club helping to ‘keep the Imp alive’. Pete, would you like to tell us a bit about the Imp Club? The Imp Club Ltd is an international club, the only club catering specifically for the Imp and all its variants. The club was first formed in 1980 by Richard Knight with a core aim of ‘Keeping the Imp alive’. 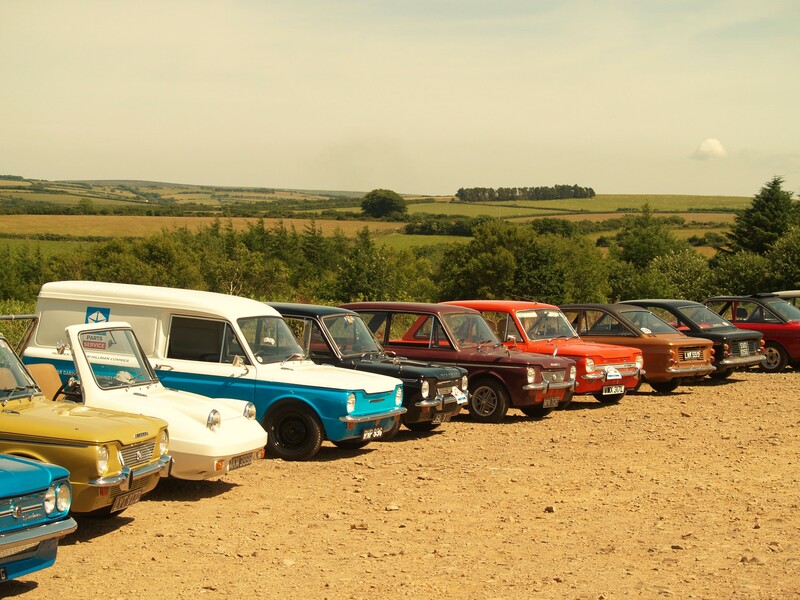 Today, with around 1,200 members, the club promotes the enjoyment and preservation of the Hillman Imp range and its derivatives. We have members stretched out across the globe, with enthusiasts in America, Australia, New Zealand, South Africa, Japan and Eastern Europe. That’s a lot of countries, how do you manage the club? There is a committee to look after the day to day running of club matters, whilst areas of the country, and abroad, are split down and looked after by area centre organisers. There is a committee of 19 members and we meet 4 times a year including an AGM to discuss matters arising and ensure the smooth running of the club. So, we know the club caters for the Hillman Imp, but tell us what variants this also covers? The club caters for the Hillman Imp, Singer Chamois, Sunbeam Imp Sport and Sunbeam Stiletto, Hillman Husky and Commer Imp Van. It also looks after the various specialist cars built around the Imp, such as the Clan Crusader, Ginetta G15, Davrian and many more. 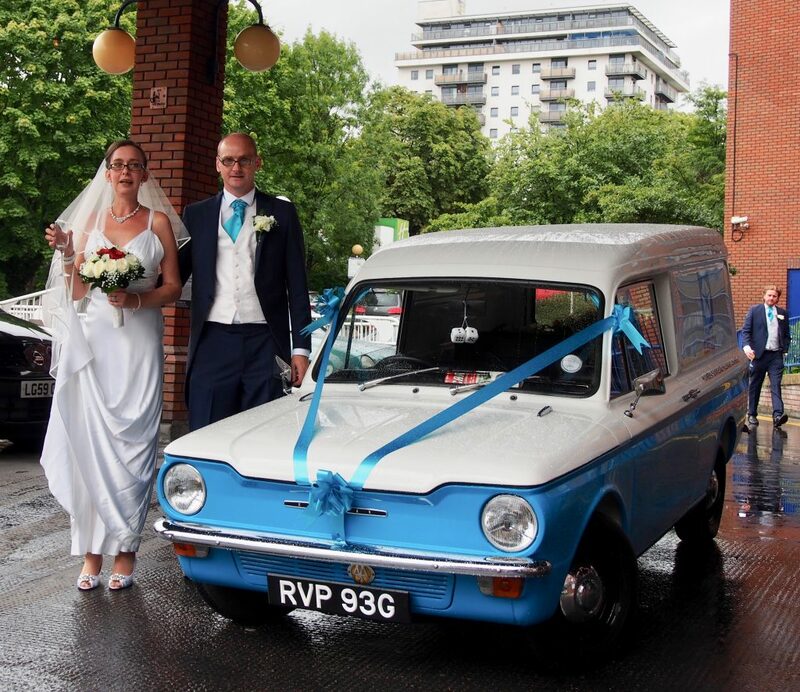 We are really fortunate, the club has a very wide age range from teens buying their first car, to people in retirement reliving their youth, or simply keeping their Imp on the road that they bought new back in the day. 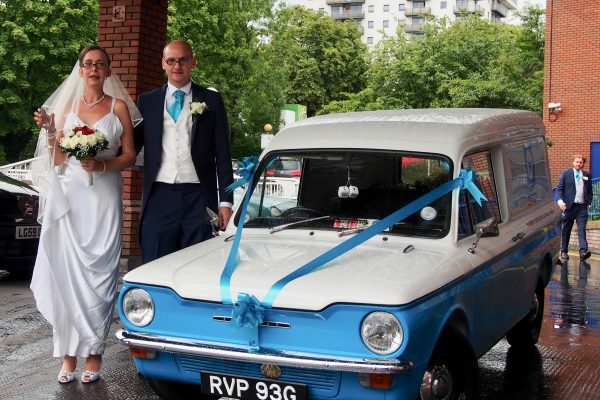 The club caters for everything from highly original to highly modified. 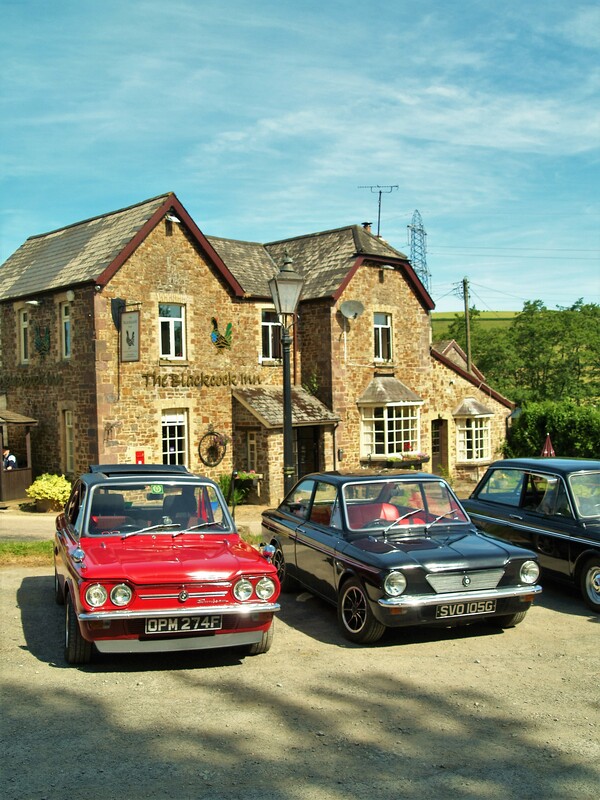 We always try and feature a range of members cars in our club magazine, ‘Impressions’ and are proud to have won a few awards over the years – including best club stand, best club magazine and two awards for promoting young people within classic cars. Are there any Imps of specific importance? Yes, namely the first Imp off the production line which resides in a museum in Scotland, an Imp Californian with 150 miles on the clock and unregistered from new. It is currently for sale for £25,000! There is also a recreation of the famous George Bevan/Bill McGovern Imp which was built by George Bevan’s grandson. Not to be outdone, after a lot of research, George Bevan’s grandson finally located the original car, along with a Harwell race Imp in Germany. They have been shipped back to the UK and undergoing full restoration to exacting standards. We are all looking forward to seeing them! We are also proud have donated to the Association of Rootes Car Clubs help assist with purchasing and building its new home where a lot of the old Imp archives are stored. Yes, there are. Our president, Rosemary Smith, rallied the Imp round the world for the Rootes Group winning many awards. There is also Cary Grant, who was the first American to own an Imp. 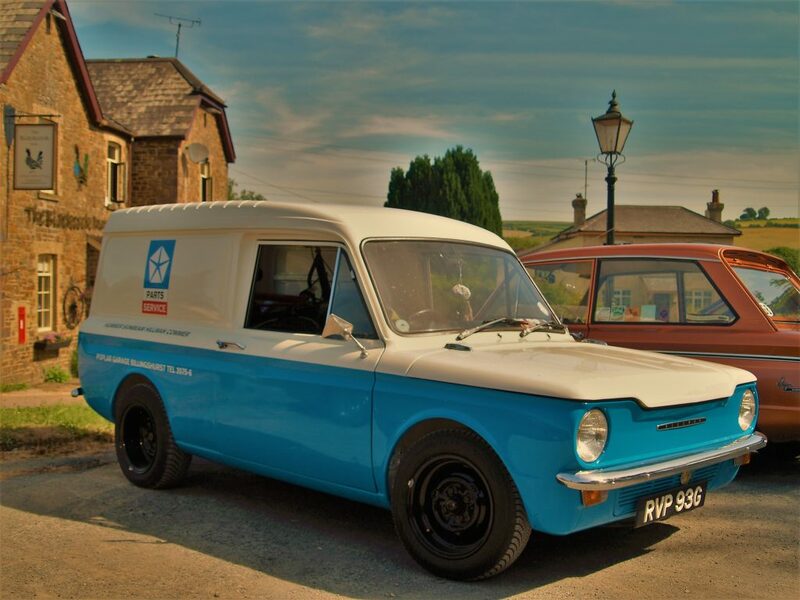 Norman Wisdom owned a Sunbeam Stiletto, Shane Lynch from Boyzone owned a Sunbeam Imp Sport and Peter Gabriel used to drive his Imp to gigs! Anthony Perkins, Prince Rainer III of Monaco, Anita Harris, Edie Adams and Jarvis Cocker have all owned Imps. You might have heard that Jarvis Cocker had his Imp crushed into a square and gave it away as a prize – this is now owned by our current chairman who is making a coffee table of it. CL: Wow, that’s quite a star studded list! 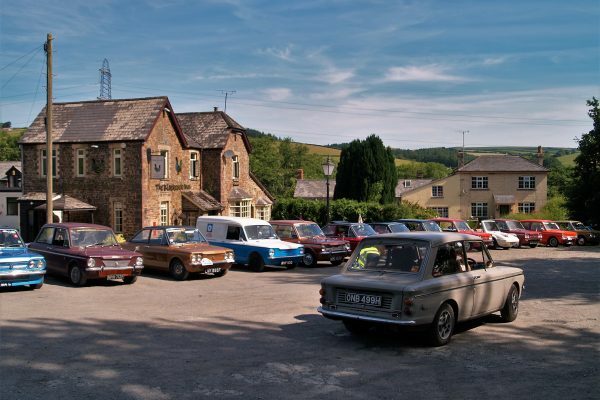 The club provides an excellent spares service for members, tell us a bit about what’s involved? Bob Allen is the Spares Co-ordinator for the club. Bob has a massive job within the club, not only selling spares, but liaising with the Imp specialists and arranging the remanufacture of various parts. Although Bob is not paid, it is virtually a full-time job and he doesn’t get half the recognition he should! CL: Bob, sounds like you are doing a great job! What other club member benefits are there? Well, as well as discounted insurance with ClassicLine…there is the network of members across the globe. In the UK, we will always do what we can to help each other out. We use the term ‘Impternational Rescue’. This could be transporting parts around the country, to getting a car welded up and roadworthy. The situation has occurred a few times recently with members desperately trying to get their car to National but having problems. I even offered to pick an Imp up on my trailer, so guys could work on it at the event, rather than the member and their family not go. And what about you Pete? I’ve been involved with Imps and the club for half my life. Bought my first Imp in 1995 and used it as my daily driver, a mk1 – great fun! Sadly, somebody hit it whilst I was at work and I moved on to an Imp Californian that I’ve had about 10 years. I fully restored my second Californian but had a longing for a van and when one finally came along, I did a full nut and bolt rebuild. I have had it painted as a recreation of a Chrysler Parts/Service van. 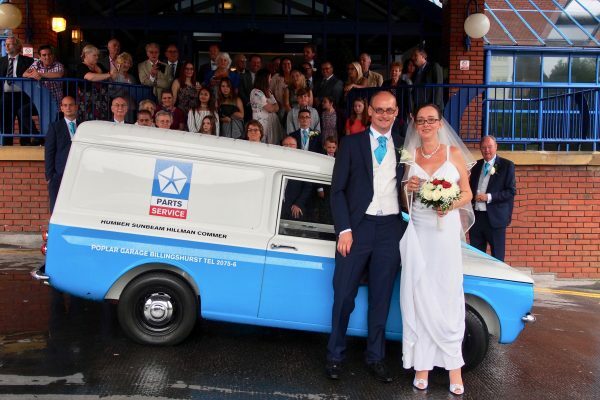 Whilst restoring the van, I met my now wife and she has embraced the club and she now takes a major part on the committee, leaving me rather in the shadows. I feel proud to say that many club members are personal friends outside of the club and cars. Its really a big extended family. I’d love a Ferrari 365 Daytona Spyder or an Aston Martin DB4 convertible. 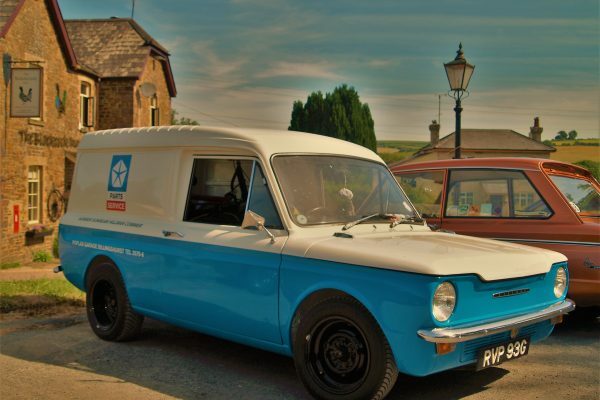 I’d end up with a fleet of classics, but the Imp Van would always be part of the collection. CL: Sounds good Pete, keep us in mind for your fleet insurance! Tell us a bit about your club events? The club attends numerous shows, from the small local ones organised by the area centre or individuals, to the large shows at the NEC, Bristol etc. Once a year, the club organises a ‘National’ weekend. The 4-night event is organised by one of the area centres who decide to step up to the challenge. It has been to most parts of the UK over the past 20 years and many treat it as part of their family summer holiday. The event has runs out, a show ‘n’ shine and trophies. We are expecting around 200/250 Imps at the National this year. 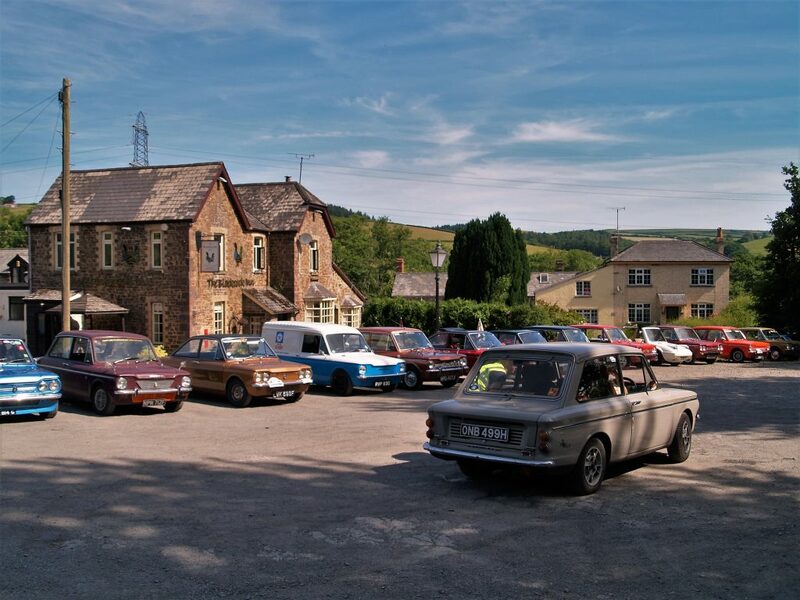 There are other smaller, but very popular, camping weekends organised by local members, such as Wicked Welsh Weekend, Imp Ecosse, and Full English. The club has a large following in the Netherlands and bi yearly, they organise ‘Doing Dutch’ where Impers head over to Holland for a long weekend. How much planning goes into the National? Planning for the National starts the year previous, if not earlier. The committee will be approached by someone who is keen to take on the task. Assuming the venue is suitable, and the team is in place, the committee will agree for the team to organise the event. Usually a small core team will do the major work supported by a network of volunteers will help on the event with rally control, marshalling etc. All these people are really dedicated individuals who care about the club and the members. Any funny or close call moments over the years? One of our ex-chairman had a bit of an incident when he towed his Imp behind his campervan. The gearbox seized up so the first few hours of the weekend were spent taking the engine and gearbox out and replacing with spares so that he could go out on the run out in the morning. That’s just the spirit of the club! Oh, and the fancy dress on the Saturday night of the national has also raised some eyebrows. The Sussex area have always put a strange spin on the theme. One year, the emergency services theme saw them in Baywatch swim suits. Some of the men could have easily passed as Pamela Anderson if you squinted… CL: the mind boggles! For you, what’s the best bit about an Imp Club event? The social aspect. It’s a time to catch up with old friends, meet new friends and explore a bit of the country that you might never otherwise do. It’s great to see members families grow from small children to adults and buying their own Imps. So, what’s next for the Imp Club? Well, the National on the 2-6 August 2018 at Prestwold Park, Leicester. The club has also set up a young person’s registrar to give support to its up and coming younger members who are always busy promoting the club and their cars at the retro and stance events, that many older members are probably baffled by. The club appreciates the need for change and it will be the younger members who drive the club forward in the years to come. So, here are the people behind one of our favourite clubs. Working hard behind the scenes to preserve the heritage of the Hillman Imp. The Imp Club, thank you for being our car club of the month.